Home › Books › How Do You Have Fun with Reference Books? How Do You Have Fun with Reference Books? The answer: Trivia Night! 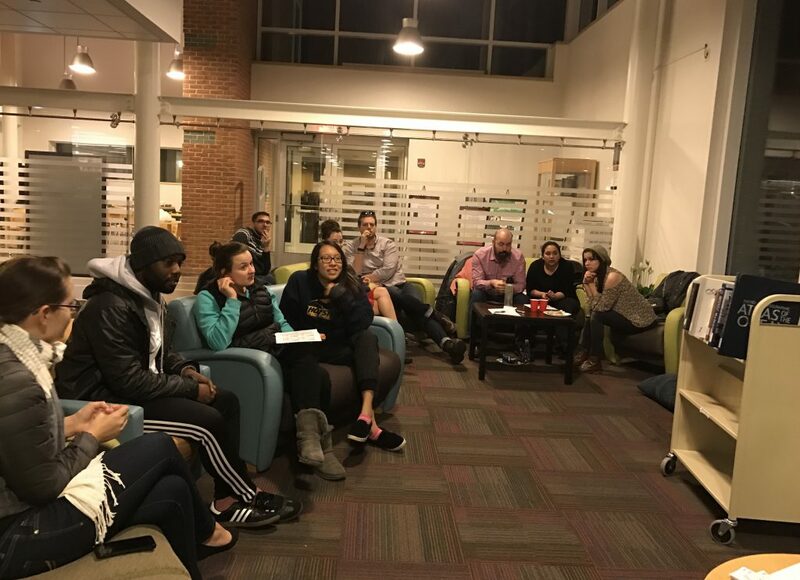 SBU Southampton Library played host on Tuesday, February 21 to dedicated teams of SOMAS, Occupational Therapy and MFA students as they vied to answer questions on categories ranging from The Wild West to Total Obscurities. Other then their own knowledge they had one lifeline – a collection of library reference books provided for the occasion. 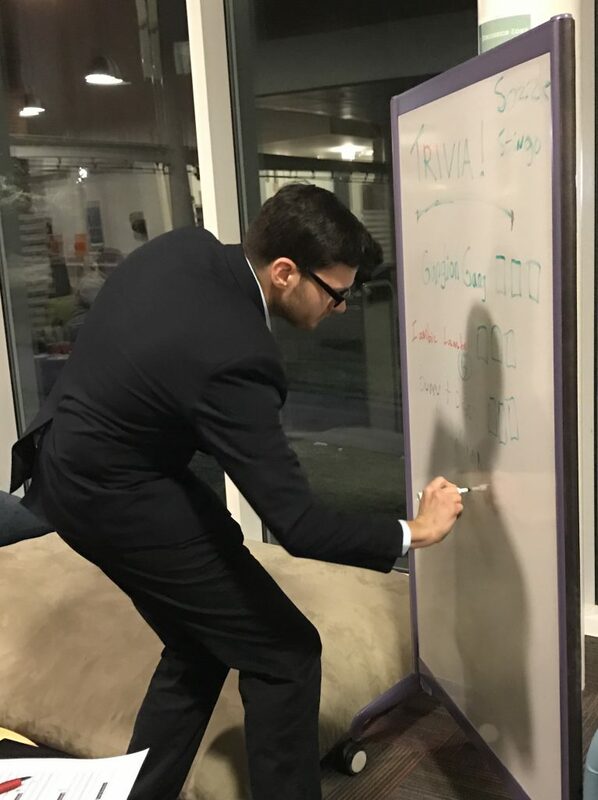 Trivia Night was sponsored in collaboration with Student Life and MFA student William St. Marie who acted as our able emcee. 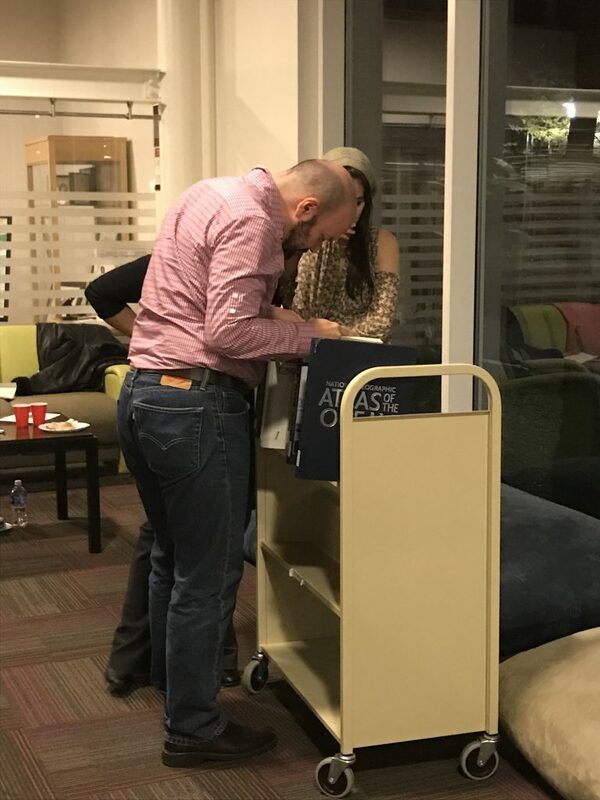 Many thanks to all who attended! Chris is the Head of SBU Southampton Library and the liaison to the MFAs in Creative Writing, Film, and Theatre.